Milan-San Remo does justice do its own nickname, La Primavera, as its raced in good conditions. Peter Sagan attacks on the Poggio and he is accompanied by Michal Kwiatkowski and Julian Alaphilippe. The Pole bests his fellow-attackers in a mesmerizing sprint-à-trois. Saturday, 18 March 2017 - The 108th edition of Milan-San Remo is played out on familiar roads. At 291 kilometres, the first Monument is the longest one day race on the professional calendar. In the 2017 edition of Milan-San Remo the likes of Van Avermaet, Sagan and Bouhanni will go head to head with Kristoff, Degenkolb and Cavendish, while title defender Démare is also competing. 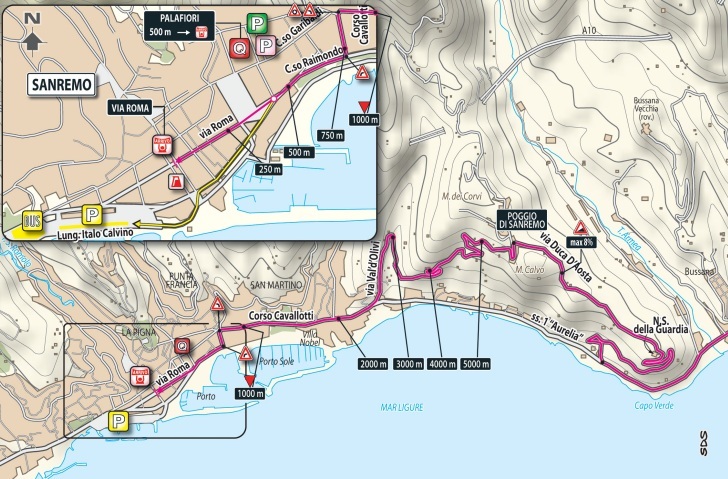 Cyclingstage.com brings you the startlist of Milan-San Remo. Milan-San Remo is the perfect race for sprinters who do not back away from an occasional climb. Who will follow in the footsteps of Arnaud Démare? Or is he able to win La Primavera again in 2017? Cyclingstage.com takes a closer look at the favourites to win Milan-San Remo.